“Gratitude makes sense of our past, brings peace for today and creates a vision for tomorrow." Gratitude improves physical health. According to a 2012 study published in Personality and Individual Differences, grateful people experience fewer aches and pains and report feeling healthier than others overall. Grateful people are also more likely to take care of their health as they exercise more often and generally suffer from less stress, which is likely to contribute to greater longevity. Gratitude improves psychological health. 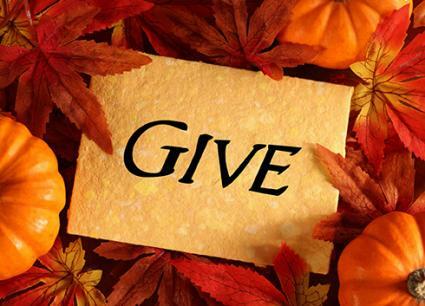 Thankfulness reduces the impact of a multitude of toxic emotions, from envy and resentment to frustration and regret. Robert Emmons, a leading gratitude researcher, has conducted multiple studies on the link between well-being and being grateful. His research confirms gratitude effectively increases happiness and reduces depression and symptoms of stress. Gratitude enhances empathy and reduces aggression. According to a 2012 study by the University of Kentucky, Grateful people are more likely to behave in a pro-social manner, even when others behaved less kindly. Participants in the study who ranked higher on gratitude scales were less likely to retaliate against others, even when given negative feedback. Study participants also experienced more sensitivity and empathy toward others. We here at HWF are grateful each day of the year. To our donors, board members, volunteer teams, trainers, trainees, leaders and group attendees, we are truly thankful for you! We’re also thankful for you, our newsletter readers. Your interest in our goal of training thousands to improve the health of millions always keeps us motivated to do more. Each November, we celebrate Community Practice Groups and the positive impact they make within their communities and within our organization. David Lehman began learning and experiencing Tai Chi roughly 30 years ago. In 2010, he completed the Integral Institute of Qigong and Tai Chi, 200-hour teacher training program. Since then, he has continued a successful teaching practice while also leading a thriving Community Practice Group in the New Paltz, New York area. David is part of the Healer Within Foundation Leadership Circle, whose individual members are committed to sharing the practices in more communities throughout the world. As part of the Leadership Circle, David supports the work of the Foundation by making a monthly donation. In this way, David’s Community Practice Group supports other practice groups. How long have you been leading Community Practice Group(s)? How did you get started? "The group got started in January, 2018. I originally approached the New Paltz Methodist Church because they have a very active recovery group. Our family has been very grateful for the support of the recovery community, and I was hoping to give something back by providing another form of support for people in recovery. Since the start, it has become a true community practice group. People from town, church and the recovery community all joining together to share the power of the qi. We have a great space to practice in and everyone is generous with donations." What advice would you give to new CPG Leaders? "Stay present, be open and share your practice. YOUR practice is the most powerful gift you have and people will benefit! Don't worry about numbers of people or who comes or goes. It is a free gift to the community. If you consistently support the group, it will grow into a beautiful community." 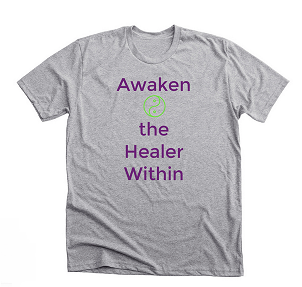 As a member of the HWF Leadership Circle, what motivates you to give back to the Healer Within Foundation? "First and foremost, the mission [of HWF] is compelling! The HWF provided a bridge which made it possible for the church leadership to allow me to come in. Even though I had always intended to give back with this community class, the church would not have allowed me in, if it had been a "for profit" effort. It's a total win, win, win, win! We have a beautiful, free practice space in the church; The church uses Tai Chi to fill a need they have to participate in the Methodist Church Abundant Life Ministry program; The whole community of New Paltz has low-cost/high-quality Tai Chi/Qigong offered to them; I get the blessing of giving back to the recovery community which I am very grateful for. More information on David can be found at his website, www.hudsonvalleymindfultaichiandqigong.com. Thank you, David! Both shirt designs are available in gray, black or white. There are long-sleeve and sweatshirt options available, too! Order today as these shirts will only be available through November 10! Once you receive your new tee's we'd love to see pictures of you and/or your practice group wearing them. Front, back, flipped...whatever! Send photos to: [email protected]. Do You Lead A Group? Please Let Us Know! Also, do you have a photo of you and your group practicing together? Please send it in to HWF, so we can proudly feature you and your group in the HWF website and newsletter. We want to show you off! Our goal is to update our current listings and add as many new CPG's to the list as possible. We wish to help those in your community find you more easily and connect as many folks as possible to the CPG's in their area. Once we receive your new listing or update, we'll be in touch, as we have a special thank you gift for our Community Practice Group Leaders. We look forward to hearing from you and we thank you, our CPG Leaders, for your very important role in, "Training thousands to improve the health of millions." *Please respond by November 30, 2018. Thank you! 2018 has been a busy year of positive growth and outreach for HWF. As this year comes to an end, we continue to strive to meet fundraising goals in order to sustain our current programs. We're also working to develop new offerings and opportunities to better assist those in the Healer Within, Qigong and Tai Chi Easy™ community. Can we count on you to help as we continue to grow? Please donate today! A gift of $35 provides a one-week stipend to support a community practice group. A contribution in the amount of $140 supports a community practice group for one month. 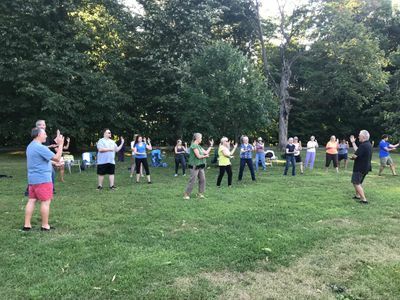 A donation of $225 provides a partial scholarship for Tai Chi Easy™ Practice Leader training, and the scholarship recipient's pledge to establish a free or low cost community practice group! The Tai Chi Easy™ Dissemination Project is the catalyst of our goal, “Training thousands to improve the health of millions.”Your support makes it possible for the Healer Within Foundation to bring community-based Qigong/Tai Chi and other self-healing body-mind-spirit-practices to greater numbers of people. See all the photos from this awesome training event at our Flickr page. We'll Help You Organize A Tai Chi Easy™ Training Event In Your Area! 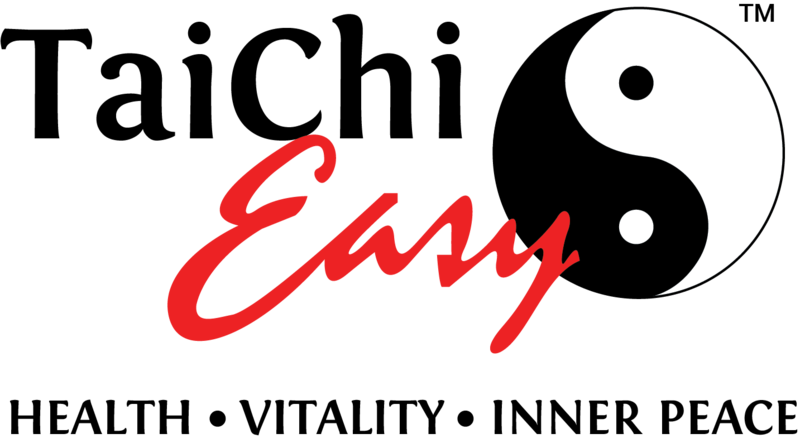 Would you like a Tai Chi Easy™ Practice Leader training event to be held in your area? Did you know that anyone can organize a Tai Chi Easy™ Practice Leader Training event? Yes, they can - YOU can - and HWF will be happy to help you make it happen! 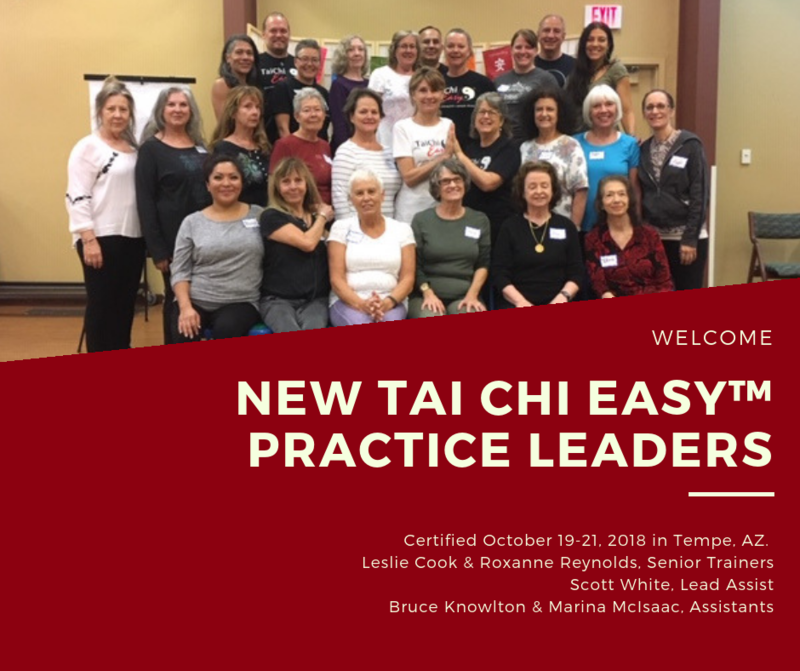 If you would like to know more about organizing a Tai Chi Easy™ Practice Leader Training event or have questions about the process contact Christie Ward for more information. new training opportunities are being added regularly. 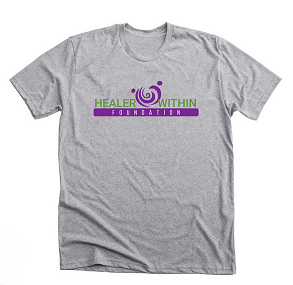 We'd like to invite you to explore the Healer Within Foundation website! We continue to add new content, most recently launching the HWF Blog, which we hope you will read and add your comments, too.